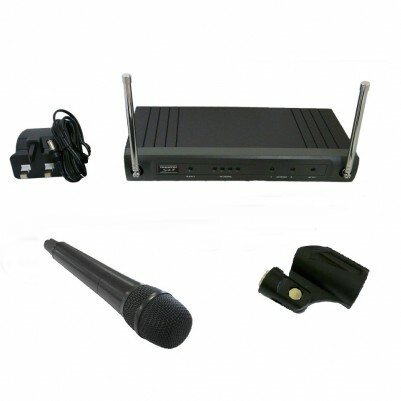 The S4.04 Series Handheld microphone system comes with a wireless handheld microphone and a UHF wireless receiver. This system is packed with functions designed to let you present and not worry about what is going on in the world of wireless transmissions. They are tough, reliable and compact. This multi-function system is optimised for use with the handheld microphone.